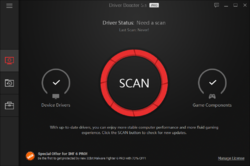 Driver Booster Pro escanea e identifica los controladores desactualizados automáticamente. 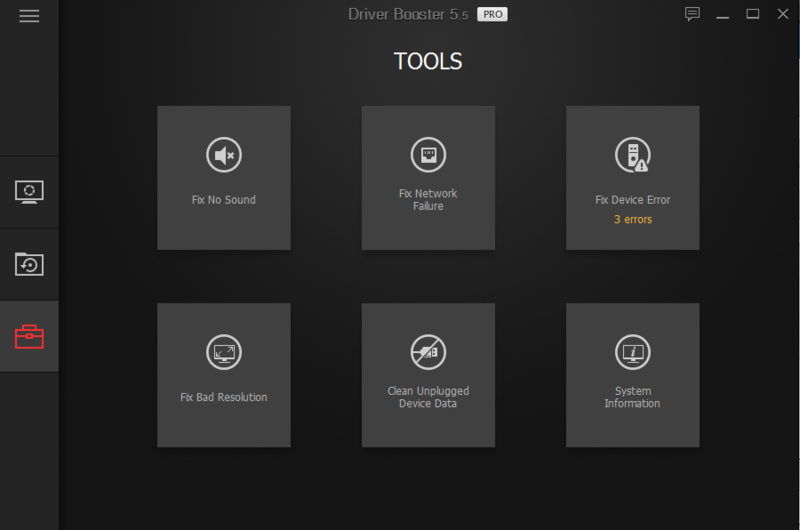 Driver Booster es un software de actualización de controladores creado con la tecnología de actualización de controladores más efectiva de IObit. El programa escanea e identifica los controladores desactualizados automáticamente, descarga e instala las actualizaciones correctas para usted con solo UN clic. Restaura el sistema y hace copias de seguridad de los controladores con su centro de Rescate. También proporciona más rendimiento de juego y protege su computadora contra fallas de hardware, bloqueos del sistema y conflictos. 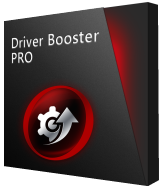 Ahorre tiempo con Driver Booster Pro. Sorry, guys, but I trust NO "Driver Booster", Driver Inspector" or any such programs. My past experience has been that they are either over-eager to remove "outdated" drivers and remove perfectly good drivers thus rendering your apps (and occasionally your OS) inoperative, or they remove only part and make updating a real P.I.T.A. Much the same opinion as to the "Registry Inspector/Cleaner" programs, I'd sooner carry an elephant onto a "Thin Ice" signed lake. YMMV... hope it works for you! Sorry, guys, but I trust NO "Driver Booster", Driver Inspector" or any such programs. My past experience has been that they are either over-eager to remove "outdated" drivers and remove perfectly good drivers thus rendering your apps (and occasionally your OS) inoperative, or they remove only part and make updating a real P.I.T.A. Much the same opinion as to the "Registry Inspector/Cleaner" programs, I'd sooner carry an elephant onto a "Thin Ice" signed lake. YMMV... hope it works for you! 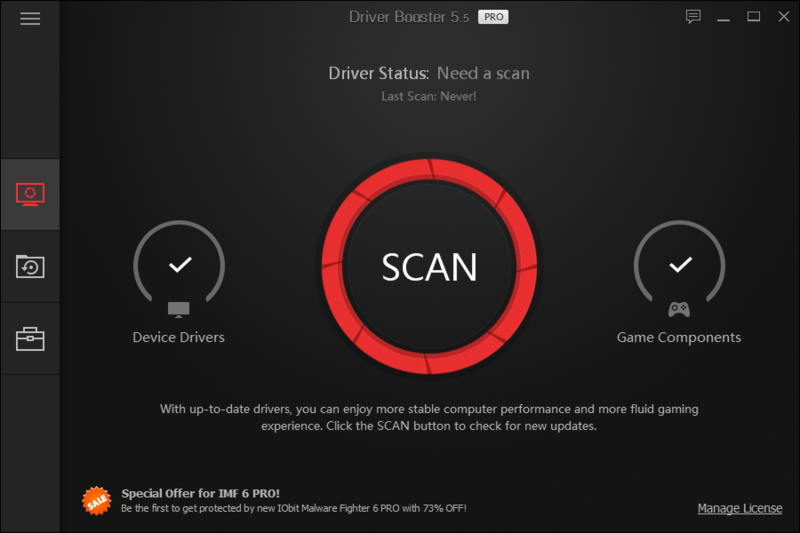 "Driver update" software is the new Registry Cleaner which itself was the new Snake Oil. An expensive fad, it's encouraged by developers looking for another source of income from paranoid computer users who once upon a time were intimidated with horror stories about "registry problems" but now that they're savvy enough not to fall for that are targeted with horror stories about "out-dated drivers". If your computer is working fine, then don't mess with it. If you're worried about its security, then use Real Time protection. If Windows Update has driver updates available, it will let you know and you can download them. If hardware manufacturers like Nvidia etc et al have updates they believe you need, they'll tell you. If software publishers like Glary etc et al have updates available, they'll also tell you. As to 'Driver Booster Pro 5.5': yet again iObit undermines the GOTD ethos as stated at the top of this page: 'Every day we offer FREE licensed software you'd have to buy otherwise'. 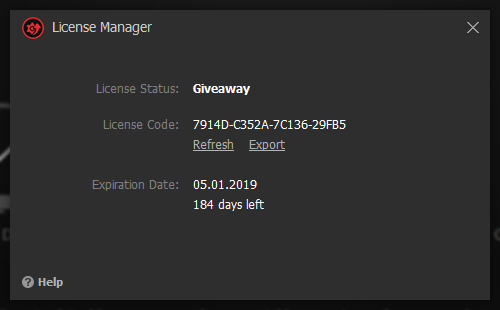 No such offer is being made today because this particular Chinese developer long since stopped being a software seller. You cannot buy its products even if you wanted to but must instead lease them at an annually recurring charge that, like today's, is entirely unjustified. And though iObit always quotes the full price of its meagre 12-month licenses in all its promotions here and elsewhere, it never offers 12-months usage anyway. Today's so-called "giveaway" is thus an extended trial of $11.50sworth of needlessly expensive rentalware. Thanks GOTD, but no thanks. "Driver update" software is the new Registry Cleaner which itself was the new Snake Oil. An expensive fad, it's encouraged by developers looking for another source of income from paranoid computer users who once upon a time were intimidated with horror stories about "registry problems" but now that they're savvy enough not to fall for that are targeted with horror stories about "out-dated drivers". If your computer is working fine, then don't mess with it. If you're worried about its security, then use Real Time protection. If Windows Update has driver updates available, it will let you know and you can download them. If hardware manufacturers like Nvidia etc et al have updates they believe you need, they'll tell you. If software publishers like Glary etc et al have updates available, they'll also tell you. As to 'Driver Booster Pro 5.5': yet again iObit undermines the GOTD ethos as stated at the top of this page: 'Every day <b>we offer FREE licensed software </b> you'd have to buy otherwise'. 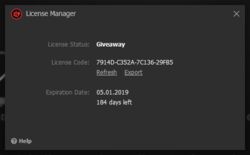 No such offer is being made today because this particular Chinese developer long since stopped being a software seller. You cannot buy its products even if you wanted to but must instead lease them at an annually recurring charge that, like today's, is entirely unjustified. And though iObit always quotes the full price of its meagre 12-month licenses in all its promotions here and elsewhere, it <b>never</b> offers 12-months usage anyway. Today's so-called "giveaway" is thus an extended trial of $11.50sworth of needlessly expensive rentalware. Thanks GOTD, but no thanks. I always found it's best to rely on Intel, HP and Micro$oft for my updates on drivers. Had a bad experience with another third party driver updater, a few years ago. Had even a worst experience with another iOrbit software product. That was a nightmare from hell and way to long a story to go into here. Told myself, never ever again.Thanks to GOTD for the offering. 5 - offers automatic updates for software drivers for pesky Adobe and Microsoft. 6 - the Pro license generally stays working during minor version upgrades ( here, my v5.2 license migrated automatically, so the v5.5 GOTD license for me is superfluous ), AND if a minor version license fails on a minor upgrade installation, I can usually just re-install an earlier version, insert the working license, then update the software minor version, and the license will migrate, that is, if my v5.2 license fails when inserted directly into v5.5, I can re-install v5.2 and insert the license there, then update to v5.5, and v5.5 will then inherit the working license from v5.2. All IObit programs install TSR terminate and stay resident background programs that call home and nag you to update and buy upgrades and buy other IObit programs. I don't like this, I prefer any program to full exit and lay formant when I exit the program. So, after each IObit software session, I use free Microsoft SysInternals [ AutoRuns ] to inspect and turn off all IObit background auto run programs, IObit devices, IObit drivers, IObit task schedules, and so on, and then IObit programs become safe tools for me to use that do not "hang around" when I close them ... but I have to run [ AutoRuns ] after each IObit session ... this is pretty much the same challenge for most free programs tools and utilities, not just IObit, by the way.
. There are 6 things I like about IObit Driver Booster: Free version: 1 - the free version is always free, the Pro version reverts to the free version when the Pro license expires, 2 - IObit Driver Booster tools can remove unused devices, that helps me troubleshoot what is actually there in my PC, and not be distracted by listing of devices that are gone, 3 - it list new hardware drivers so I can compare to the original equipment manufacturer's or Microsoft's recommended drivers, or, if some device or accessory has been orphaned, I can directly install a driver presented by IObit Driver Booster, Pro version: 4 - it has a tool to fix device errors in device manager, 5 - offers automatic updates for software drivers for pesky Adobe and Microsoft. 6 - the Pro license generally stays working during minor version upgrades ( here, my v5.2 license migrated automatically, so the v5.5 GOTD license for me is superfluous ), AND if a minor version license fails on a minor upgrade installation, I can usually just re-install an earlier version, insert the working license, then update the software minor version, and the license will migrate, that is, if my v5.2 license fails when inserted directly into v5.5, I can re-install v5.2 and insert the license there, then update to v5.5, and v5.5 will then inherit the working license from v5.2. __________ Beware: All IObit programs install TSR terminate and stay resident background programs that call home and nag you to update and buy upgrades and buy other IObit programs. I don't like this, I prefer any program to full exit and lay formant when I exit the program. So, after each IObit software session, I use free Microsoft SysInternals [ AutoRuns ] to inspect and turn off all IObit background auto run programs, IObit devices, IObit drivers, IObit task schedules, and so on, and then IObit programs become safe tools for me to use that do not "hang around" when I close them ... but I have to run [ AutoRuns ] after each IObit session ... this is pretty much the same challenge for most free programs tools and utilities, not just IObit, by the way. . I will never install another Iobit program again. I had their portable version of their uninstaller. Recently when I opened it , the program took it upon itself to install the program to my computer without my consent. I have never had a portable program to this before. Truly rude and intrusive. I used Revo to get rid of the installation and shredded all my portable Iobit folders. Thank you for the offer but I will pass.